Starting at the age of eleven, Ernie Perkins has sixty years in the ministry. He served nineteen years as the senior pastor of Southern Baptist churches, and twenty-nine years as a denominational leader. As an evangelist, he has preached almost eight hundred and fifty revivals. As a humorist, he has entertained over 650 times. As an educator, he has four earned doctorates. He teaches master and doctoral level classes. 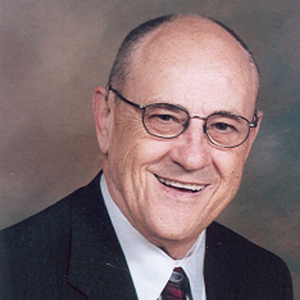 As a conference speaker he has preached on numerous evangelism, senior adult, and pastor conferences on the national, state and associational levels. He as served as president of the Ohio State Pastors Conference, the Arkansas State Pastors Conference, and the Oklahoma Conference of Southern Baptist Evangelists. His wife, Wanda, ventriloquist and prayer warrior, travels with him when possible.